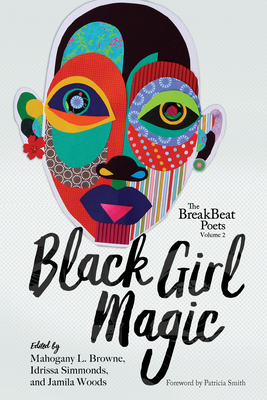 Black Girl Magic continues and deepens the work of the first BreakBeat Poets anthology by focusing on some of the most exciting Black women writing today. This anthology breaks up the myth of hip-hop as a boys' club, and asserts the truth that the cypher is a feminine form. Poet and vocalist Jamila Woods was raised in Chicago, and graduated from Brown University, where she earned a BA in Africana Studies and Theatre & Performance Studies. Influenced by Lucille Clifton and Gwendolyn Brooks, much of her writing explores blackness, womanhood, and the city of Chicago. Mahogany L. Browne is a Cave Canem and Poets House alumna and the author of several books including Smudge and Redbone. She directs the poetry program of the Nuyorican Poets Caf . Idrissa Simmonds is a fiction writer and poet. Her work has appeared in Black Renaissance Noire, The Caribbean Writer, Fourteen Hills Press, and elsewhere. She is the 2014 winner of the Crab Creek Review poetry contest, and a New York Foundation for the Arts and Commonwealth Short Story Award Finalist.